Every person with lung cancer deserves a brighter tomorrow. Please consider a tax-deductible year end gift to help us provide hope. 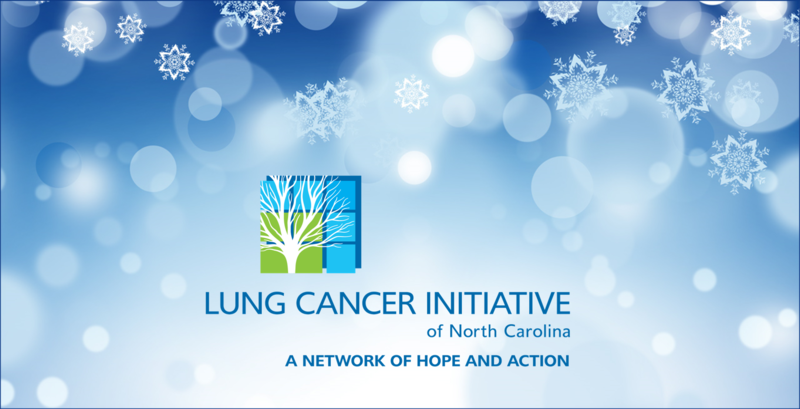 Your support has helped make the Lung Cancer Initiative of North Carolina the leading lung cancer organization in the state. We are so grateful to you for supporting our research, education, awareness, and access programs. Thanks to you, this year over 300 lung cancer patients in treatment were provided gas cards, local health care providers were educated about treatment options and early diagnosis, and families learned how to get the best care for their loved ones. Your ongoing support has also funded our Research Fellows Program and allowed us to collaborate with the V Foundation to co-fund their V Scholar. In 2016 the Initiative is planning to fund $225,000 as part of the organization’s ongoing commitment to fund North Carolina researchers. Your gift is extremely important to the Initiative because it provides much-needed resources that make an immediate impact. Your donation of $50, $100, $500 or $1,000 can make all the difference to lung cancer patients in our community. Please consider making as generous a gift as you can. As cancer care advances, we are committed to staying at the forefront of lung cancer research, education and access – for you, for your loved ones, for every person in our state. On behalf of the Lung Cancer Initiative Board of Directors and staff, your support is sincerely appreciated.